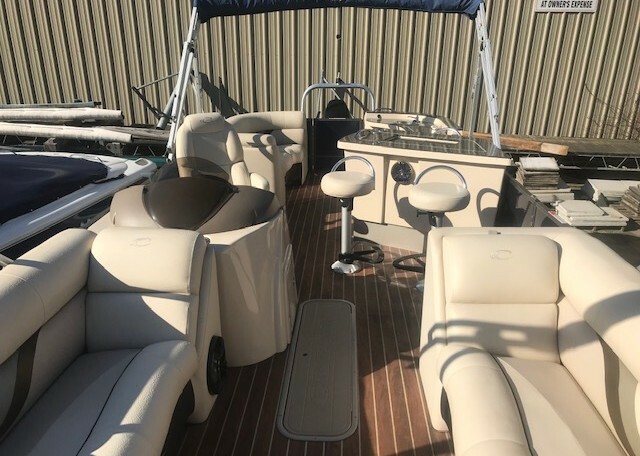 CLASSIC ENTERTAINER SERIES cruise models fulfill the promise of a great day on the water, whether you are idling nowhere special or hustling to your favorite destination to build a fire and just kick back. 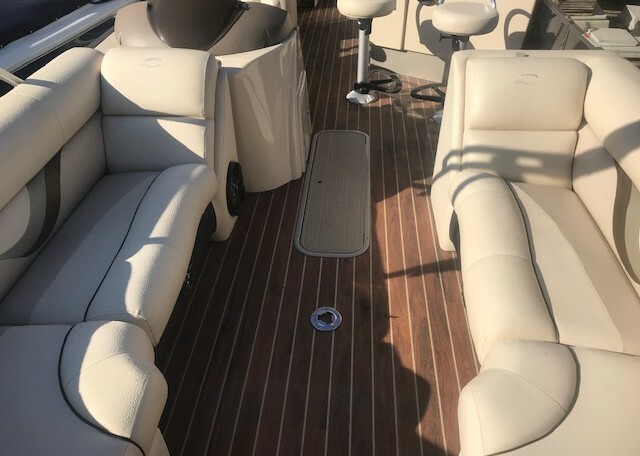 PREMIUM DESIGN FEATURES – including swept graphics, custom seat design, unique top design and high-quality materials – make this pontoon an instant Classic. 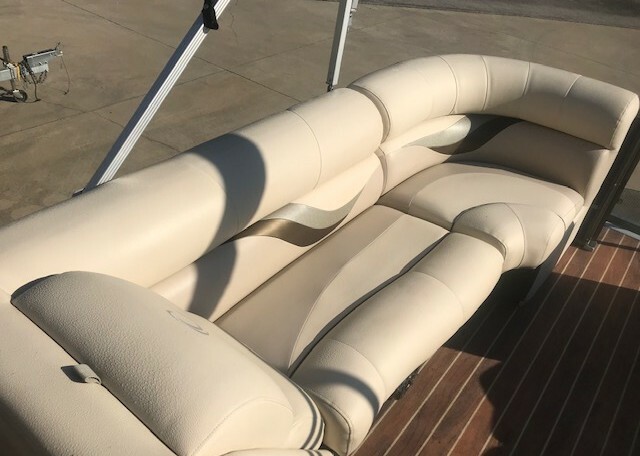 The Classic Series comes standard with features and styling that compliment your boating lifestyle. 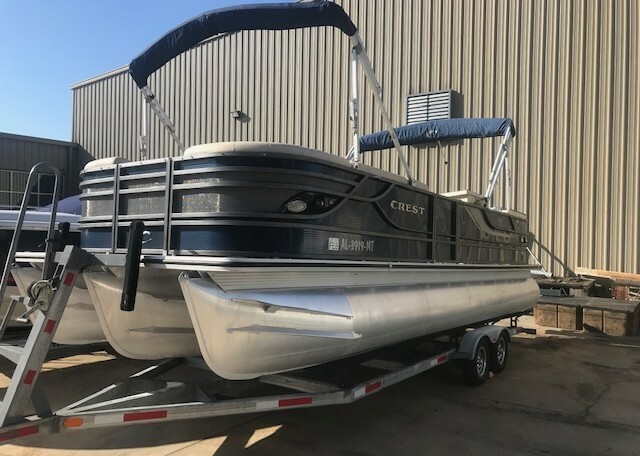 At any level of performance and length, the Crest Classic delivers. 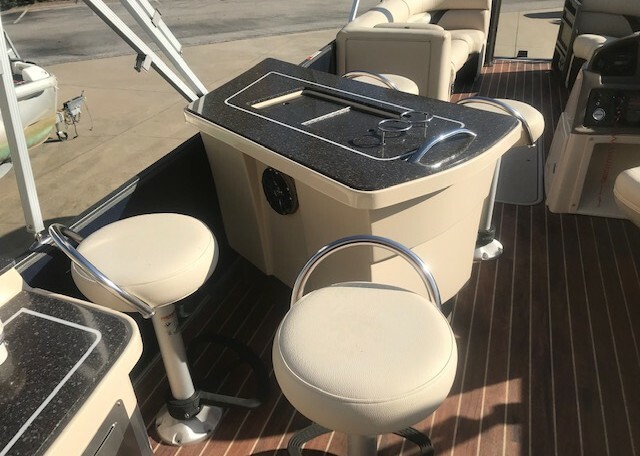 The Classic Entertainer has a unique bar design that is perfect for entertaining or having a picnic on the lake! 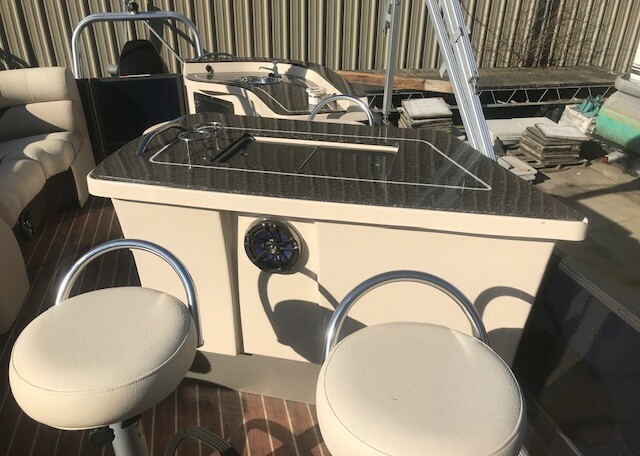 The bar has four classic style bar stools and a built in cooler right in the bar. 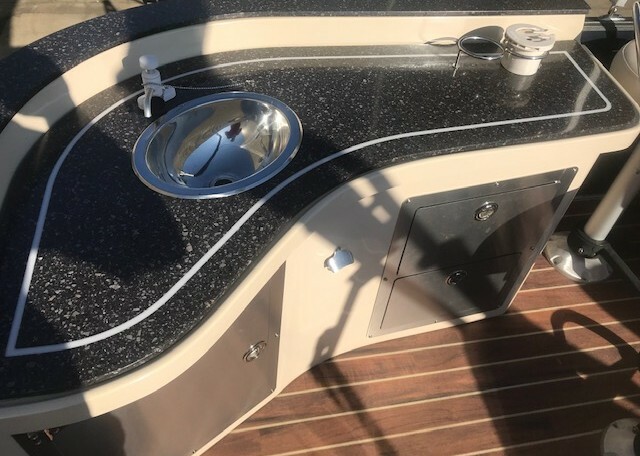 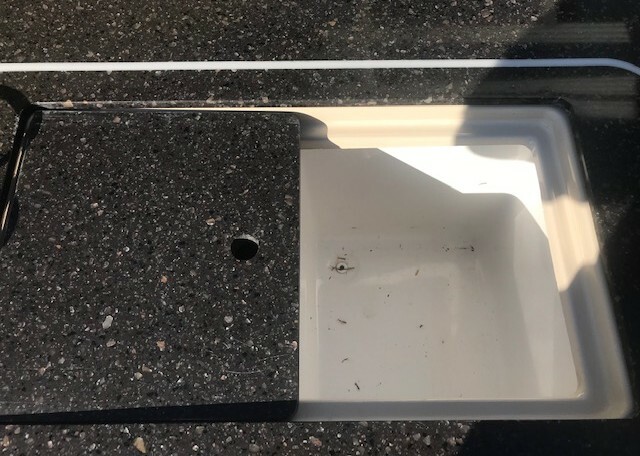 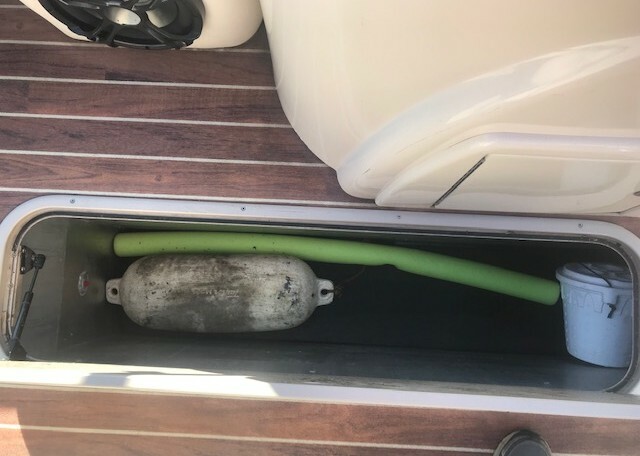 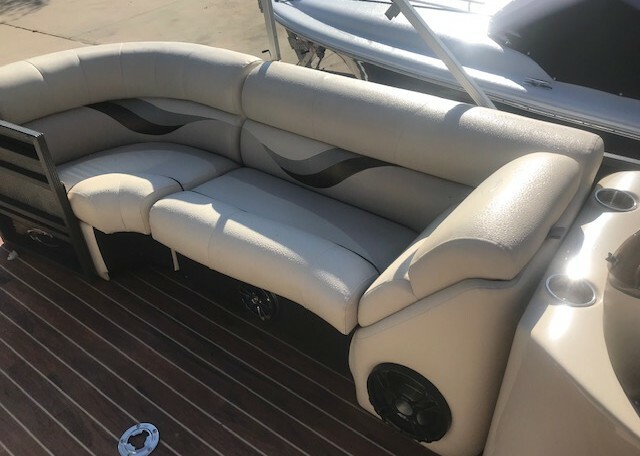 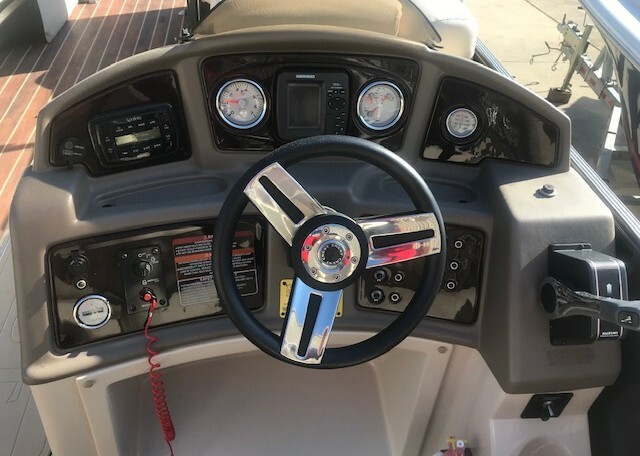 This boat is also equipped with a Blender for making those tropical drinks, Triple Pontoons, Teak Look Vinyl Flooring, Sink with Faucet, Under Deck Lighting, In-Floor Ski Locker, GPS, Dual Batteries with Switch and On-Board Battery Charger, AM/FM Infinity Stereo with bluetooth, Amp, Woofer and Premium Stereo Speakers. 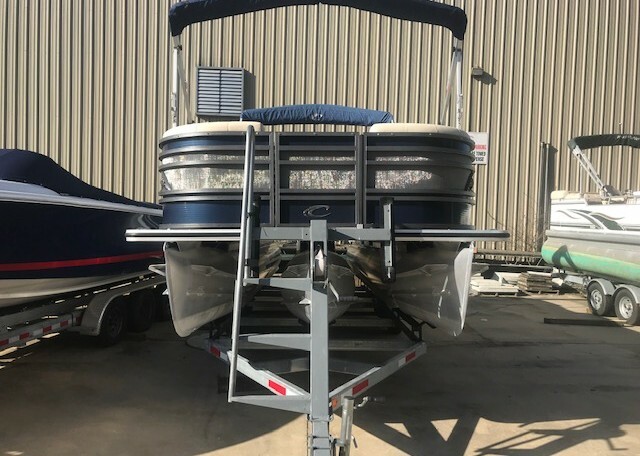 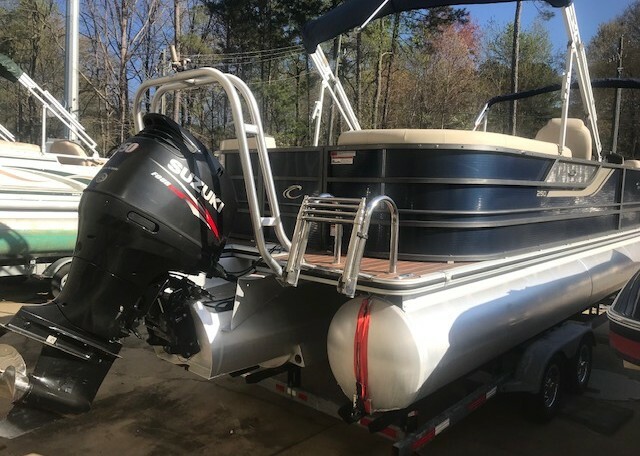 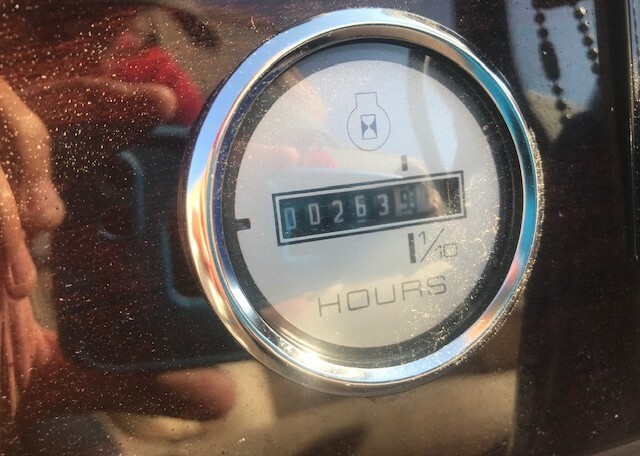 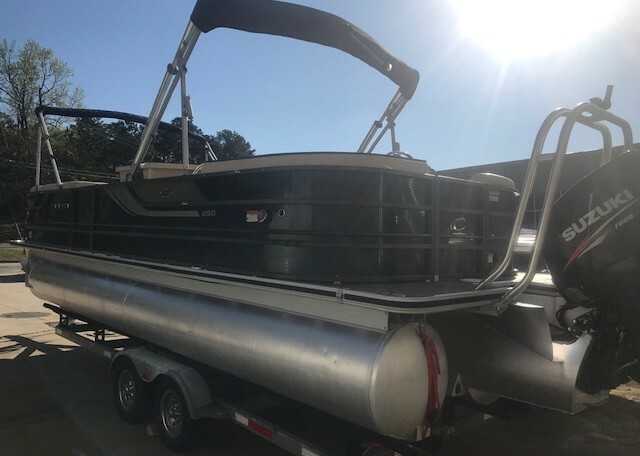 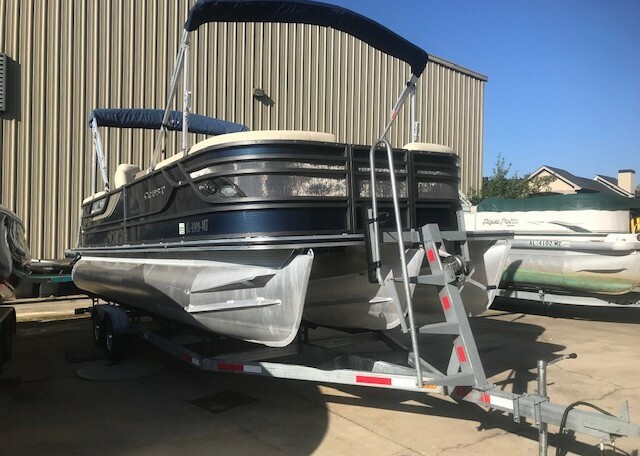 This boat is nicely equipped with a very quite and fuel efficient Suzuki 150hp Four Stroke Engine and comes with a Tandem Axle Galvanized Trailer!